It took a while but we now have a commercial fishing ban for Palau!! According to recent news, Palau’s president, Tommy Remengesau, Jr., is set to ban all commercial fishing in the area. 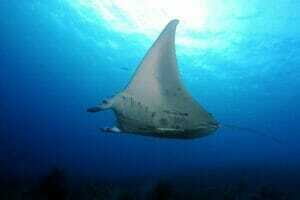 In addition, it will become a very large marine sanctuary that will be about the size of the country of France. This is great news for conservationists, and for us here at Palau Dive Adventures, who want to preserve and be able to experience the inherent beauty of Palau for generations to come. Palau is a beautiful tropical island nation located in the Pacific Ocean, and its total population averages around 20,000 people, who live across its 250 islands. Continue reading to learn more about this much-needed step towards saving the creatures that call the waters surrounding Palau home. President Tommy Remengesau, Jr. made his statement about banning commercial fishing in Palau while attending a UN oceans conference. He declared that the country’s Exclusive Economic Zone, which runs 200 nautical miles, would from now on be considered a marine sanctuary. The area is about the size of France, and it would be protected from those who would want to exploit the inherent beauty and balance of the area. Many people may wonder why the president of Palau would take such a dramatic step, but the truth is that the island country’s economy is very closely tied to the environment. The president even stated that the ocean itself is the country’s livelihood, so they simply cannot afford to do anything that would jeopardize the ocean’s health. And in addition to being their livelihood, the ocean is near and dear to them and is a true part of the country’s culture as well, so they definitely want to protect it for the future inhabitants and visitors of Palau to enjoy. The only way to sustain their way of life and their own population would be to provide protections to the ocean that surrounds them. President Tommy Remengesau, Jr. went on to explain that, just in his lifetime, he has seen the number of fish in the waters surrounding Palau dwindle as a result of overfishing, which is common all over the planet and is taking its toll not only on marine life but on the ecosystem itself, putting the very oceans themselves at risk. So the president is taking responsible action now, rather than later, to protect the ocean and its inhabitants. In place of commercial fishing, the country will generate money by promoting water sports, such as snorkeling and scuba diving, focusing its energy on eco-tourism that will teach people about the delicate balance that the oceans provide to Palau and the rest of the planet. People who visit Palau will be able to enjoy its natural beauty beneath the waves responsibly. Actually enforcing the ban will be quite difficult, but the president of Palau is looking into a variety of options that will make it easier for them to ensure nothing illegal will be going on in their territorial waters. Unmanned aerial drones, for example, are definitely an option, as they would be able to patrol the area. Palau is taking a giant step in the right direction by creating a marine sanctuary that will not only protect its people’s livelihood but also protect the delicate environment that surrounds the islands. 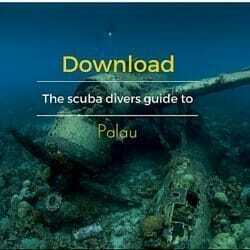 Would you like to explore the underwater world of Palau with us? Click here to contact us directly if you would have any questions or would like to make a reservation.